Gonzo William Lubitch and his unnamed best friend and alter ego are important members of the Haulage & HazMat Emergency Civil Freebooting Company of Exmoor County (Corporate HQ the Nameless Bar, Sally J. Culpepper, presiding). When a giant fire at the Jorgmund pipe threatens to destroy what little is left of the old world, they are the go to people. But something sinister is going on. Gonzo’s friend has good instincts and he’s uneasy. When his suspicions come true and the company is almost killed off, Gonzo and his friend end up standing in a torrent of FOX, the stuff that keeps the world from being unmade but that has severe side-effects when dumped on an ordinary human, if you can call Gonzo and his friend ordinary. The result is unimaginable and changes the superheros forever. To understand all that happens before and after the Jorgmund pipe fire, the author takes us on a psychedelic journey through the life of Gonzo’s friend—who is the narrator of the story. We see him grow up, find an unusual career, fall in love and meet some very strange people along the way. Then it all ends in the greatest nightmare possible. Gonzo turns on his friend, steals his wife, shoots him full of heavy calibre bullets and kicks him out of a moving vehicle. 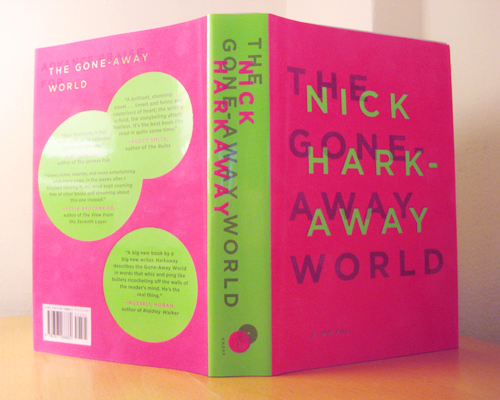 This is the beginning of the end of The Gone Away World, and if you haven’t been electrified by the brilliant, if unorthodox, storytelling of Nick Harkaway, then you aren’t a true lover of speculative fiction. The novel is epic, mind bending and brilliant in its development. And the ending is well worth the wait.